Robert Frost – born on March 26, 1874 in San Francisco, California – was one of the most popular and critically acclaimed American poets of the twentieth century. During his lifetime, he received a plethora of honors, most notably four Pulitzer Prizes for Poetry, numerous honorary degrees, and, in 1960, a Congressional Gold Medal. Robert Frost’s poetry was most often written with early twentieth century, rural New England as a backdrop, from which he explored intricate philosophical and social questions of human existence. His grasp and usage of down-to-earth, American colloquial language (mirroring ordinary, everyday speech) resonated with his readership and he became an American literary icon. His wife and inspiration for much of his poetry, Elinor Miriam White, married him in 1895. She died from breast cancer in 1938. On January 29, 1963, at the age of eight-eight, Robert Frost died in Boston Massachusetts, of complications from pancreatic surgery. 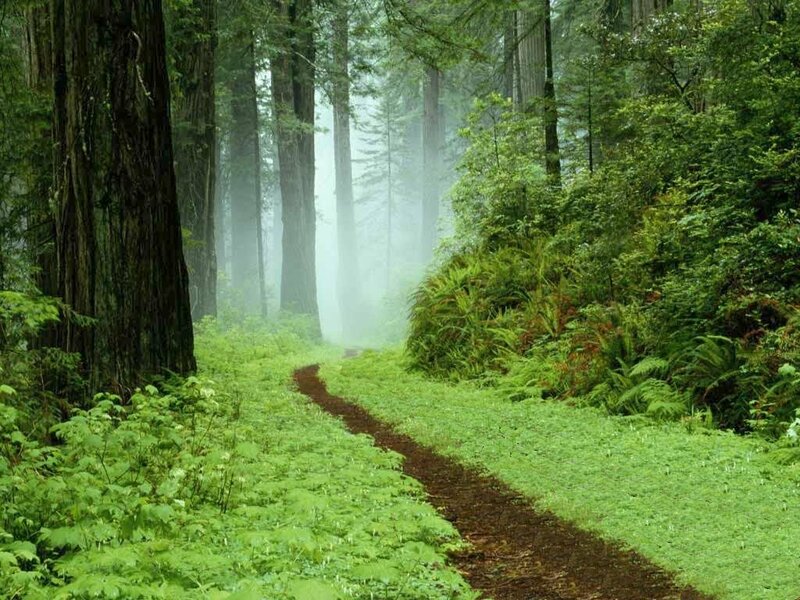 The Road Not Taken – one of Robert Frost’s most popular and yet most misunderstood poems. When he writes about the two roads, he says “Though as for that the passing there/Had worn them really about the same/And that morning equally lay/in leaves no step had trodden back” – meaning that neither of the two roads are less traveled and therefore one is faced with the dilemma of choice: which of the two identical forks in the road do I take? Our route is determined by the fusion of both choice and chance (or fate). There is no right path, just the chosen path and the other one that was not chosen. The poem is about the moment of decision, not the actual decision itself. By making a choice, the traveler is aware that only sometime in the future, will he realize whether or not he took the road less traveled by. The poem encapsulates the agony of decision, stemming from the very human (and common) fear of remorse/regret. 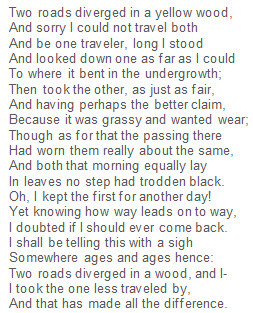 This entry was posted in heatherfromthegrove, inspiration, literati, other musings, spirituality, visionaries, philanthropists & sheer brilliance and tagged decisions, Heather Joan Marinos, Heather Marinos, heatherfromthegrove, heatherfromthegrove's poetry spotlight for today: "The Road Not Taken" by Robert Frost, indecision, making the right decision, new discoveries, poems, poetry, poetry week, poets, Regrets, remorse, Robert Frost, taking chances, the agony of decision, the path less traveled, the right path, The Road Not Taken. Bookmark the permalink.